"Business Continuity is the activity performed by an organization to ensure that critical business functions will be available to customers, suppliers, regulators, and other entities that must have access to those functions." This include system backups, project management, help desk and change control. Business Continuity is a set of activities performed daily basis to maintain consistency of service, and recoverability. Standards, Program Development, Policies, Guidelines and Procedures are the foundation of Business Continuity and needed to ensure that an organization is working without stopping in case of an adverse event. In this section i will provide some of the reference numbers for standards developed by different authorities like ISO, IEC, BSI etc. On 15 May 2012, ISO published the International Standard ISO 22301:2012, "Societal security -- Business continuity management systems --- Requirements". A second International Standard ISO 22313, "Societal security -- Business continuity management systems – Guidance", is in the Draft International Standard (DIS) phase and is expected to be published in late 2012 or early 2013. Produced by the British Standards Institution (BSI), BS 25999 is a business continuity management (BCM) standard in two parts. The first, “BS 25999-1:2006 Business Continuity Management. Code of Practice”, takes the form of general guidance and seeks to establish processes, principles and terminology for business continuity Management. Published by the National Fire Protection Association NFPA 1600: Standard on Disaster/Emergency Management and Business Continuity Programs. Standards Australia introduced their Standard AS/NZS 5050 that connects far more closely with traditional risk management practices. 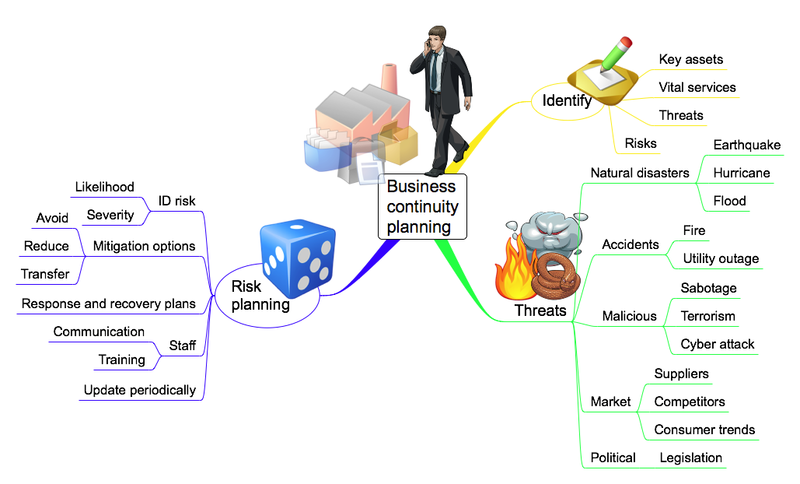 This interpretation is designed to be used in conjunction with AS/NZS 31000 covering risk management. You can read more about risk management on this blog. Many businesses which have spent lots of money on creating an IT infrastructure that gives them good performance and reasonable reliability often forget business continuity planning. Business continuity planning is an essential part of an organization’s need to maintain operations should unforeseen circumstances occur. 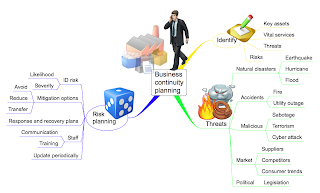 In the event of such a situation if business continuity planning had not been considered the result would be major outage with all systems offline. You would be correct in assuming that this kind of scenario could ruin the reputation of an organization or at worse lead to its collapse. It is for this reason that businesses that require an added level of assurance of continuity of their operations must devise a robust plan for their organization. At Microcom IT we assist our clients by formulating a concise plan and assist with improving the existing structure to accommodate the added measures. If you have thought about these possibilities and do not have any measures in place, it is still not too late. Contact our specialist team to find out how we can help. I really appreciate your work and agree that business continuity is important for every organization.Keep sharing such a nice information to us.